1/8/96-- anniversary --Takaaki Iwabu photo-- Rev. 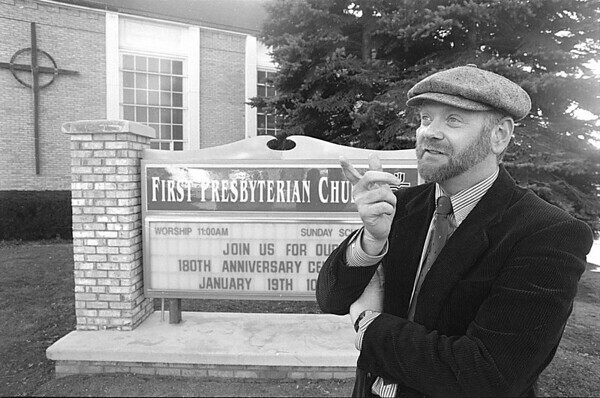 Charles D. LaPlaca talks about the history of his church, First Presbyterian Church in Lewiston. Church is having 180th year anniversary.